Kyle Grillot - kgrillot@shawmedia.com A Crystal Lake Public Works employee clears a mixture of snow and rain from Edgewood Road Thursday, February 20, 2014. The National Weather Service has issued a flood advisory for much of northeastern Illinois, including portions of southern McHenry County. Kyle Grillot - kgrillot@shawmedia.com Algonquin Public Works employees Brad McFeggan and Frank Sedivy work to clear drains along Harrison Street Thursday, February 20, 2014. 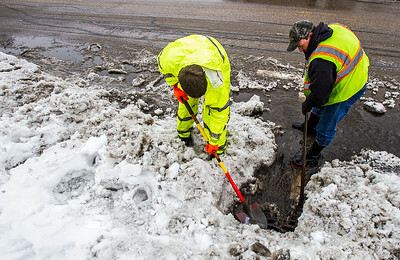 "Pretty much everyone in the public works is out right now," said McFeggan. The National Weather Service has issued a flood advisory for much of northeastern Illinois, including portions of southern McHenry County. 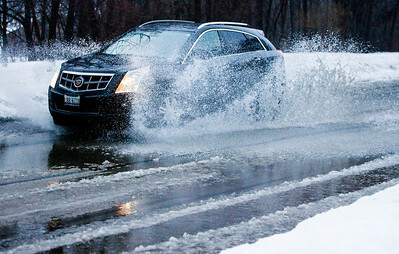 Kyle Grillot - kgrillot@shawmedia.com A motorist drives through wet snowy conditions along Birch Lane in Fox River Grove Thursday, February 20, 2014. The National Weather Service has issued a flood advisory for much of northeastern Illinois, including portions of southern McHenry County. 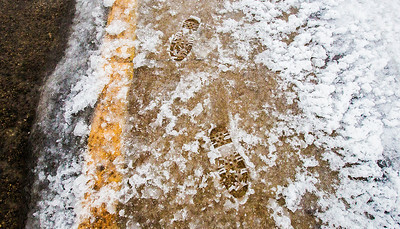 Kyle Grillot - kgrillot@shawmedia.com A mixture of snow and rain left about an inch of moisture over the sidewalks in Fox River Grove Thursday, February 20, 2014. The National Weather Service has issued a flood advisory for much of northeastern Illinois, including portions of southern McHenry County. 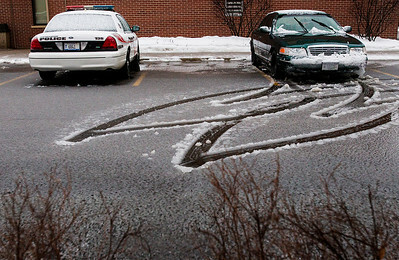 Kyle Grillot - kgrillot@shawmedia.com Tire marks through the snow mark the path of a police vehicle at the municipal building in Fox River Grove Thursday, February 20, 2014. The National Weather Service has issued a flood advisory for much of northeastern Illinois, including portions of southern McHenry County. 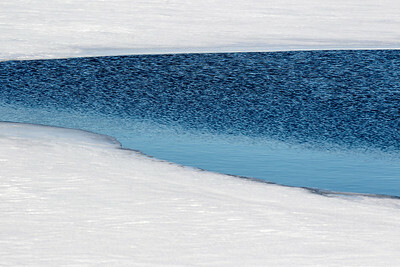 Sarah Nader- snader@shawmedia.com Open water peeks through the ice at Three Oaks Recreation Area in Crystal Lake Wednesday, February 19, 2014. 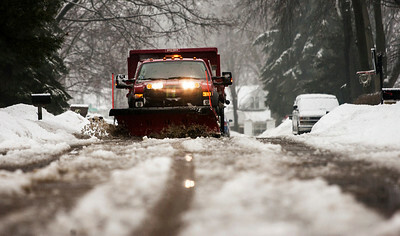 According to the National Weather Services snow, freezing rain and sleet is expected Thursday with a high near 48 degrees. 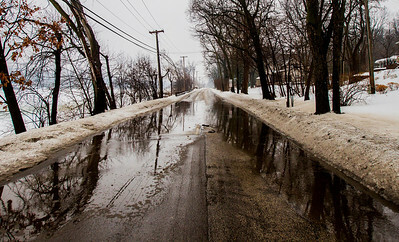 Kyle Grillot - kgrillot@shawmedia.com Water collects along North River Road in Algonquin Thursday, February 20, 2014. The National Weather Service has issued a flood advisory for much of northeastern Illinois, including portions of southern McHenry County. 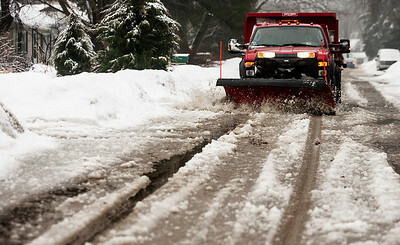 A Crystal Lake Public Works employee clears a mixture of snow and rain from Edgewood Road Thursday, February 20, 2014. The National Weather Service has issued a flood advisory for much of northeastern Illinois, including portions of southern McHenry County.